"A superb book," said Robert Pirsig, author of Zen and the Art of Motorcycle Maintenance. "All the incredible complexity and chaos and exploitation and loneliness and strange, half-mad beauty of this field are honestly and correctly drawn." The Washington Post Book World said, "Kidder has created compelling entertainment. He offers a fast, painless, enjoyable means to an initial understanding of computers, allowing us to understand the complexity of machines we could only marvel at before, and to appreciate the skills of the people who create them." 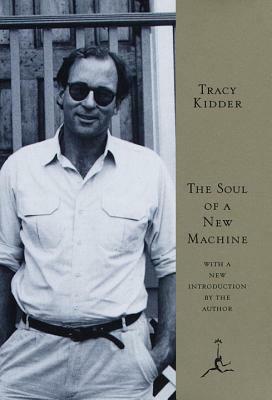 Tracy Kidder has written a new Introduction to this Modern Library edition.